The primary goal in care of the injured patient is to quickly control hemorrhage; thus the role of laparoscopy has traditionally been limited. However, as laparoscopic surgical skills and equipment have improved, laparoscopy and thoracoscopy have increasingly been used for diagnostic and therapeutic purposes in hemodynamically stable trauma patients. 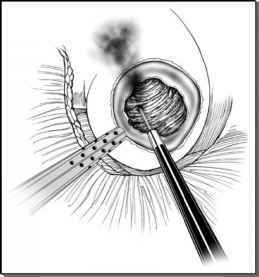 The role of laparoscopy in trauma was first described in the 1920s for its ability to identify hemoperitoneum (1). In the United States, Gazzangia in 1976 described the first series of trauma patients with either blunt or penetrating trauma, where laparoscopy was used for diagnosis (2). Laparoscopy has gained favor in many trauma centers due to decreased morbidity, pain, and potential complications associated with major operative wounds seen in standard laparotomy and thoracotomy incisions. At the same time, other minimally invasive techniques have been increasingly used in trauma, including observation with selective nonoperative management and the use of angiography. Although laparoscopy has become the standard treatment for some general surgical operations (e.g., cholecystectomy), more traditional approaches such as computed tomography scanning, ultrasound, diagnostic peritoneal lavage, observation, and laparotomy remain as the standard of care in trauma. Yet, it is recognized that when laparotomy is used for diagnosis traditionally the negative or nontherapeutic laparo-tomy rates have been relatively high, ranging between 12% and 40%. Furthermore, the potential complications associated with negative laparotomies makes laparoscopy a desirable alternative. In addition, laparoscopy provides the potential ability to diagnose injuries missed as compared to use of imaging studies alone. Laparoscopy must be weighed against these approaches in deciding its appropriateness in the management of a given patient. Specifically, laparoscopy offers good visualization of the anterior and lateral abdominal walls but is more limited in its ability to visualize the retroperitoneal structures. When laparoscopy was utilized either for diagnostic or therapeutic purposes, a decreased rate of negative laparotomies was clearly seen, as well as an overall decreased length of hospital stay. Conversely, laparoscopy entails some additional patient risks over nonoperative options. Specifically, there is exposure to anesthesia and the possibility of creating a carbon dioxide pneumothorax (when a diaphragmatic injury is present), visceral or diaphragmatic injury, increased intracranial pressure, and potential hernia formation. In addition, there are costs associated with laparoscopy which would not be present if observation alone was employed. Table 1 reviews the findings of eight studies of laparoscopy in trauma conducted between 1991 and 2003. Eight studies examined the potential laparoscopic benefits in 1193 patients (Table 1) with abdominal trauma. When the goal was diagnostic alone, laparoscopy was successful in 53% to 81% of the cases. Laparoscopy was used therapeutically in 0% to 13% (19-47% of the cases were converted to laparotomy). Currently, the role of laparoscopy in trauma is strictly limited to hemodynami-cally stable patients. Hemodynamically unstable patients require a streamlined, rapid approach in obtaining a diagnosis and providing treatment. As such, any delay (e.g., time necessary to perform a laparoscopic procedure) can potentially compromise patient care and is inappropriate. The operating room has traditionally served as the forum for performing laparoscopic procedures. With the advent of smaller cameras that fit through a single Veress needle after insufflation, such procedures are also being performed in some emergency departments. The ability to safely perform laparoscopy in the emergency department on a stable patient by providing sedation and local anesthesia has the advantage of definitively ruling out intra-abdominal injuries. Combining such results with other diagnostic findings can potentially allow a patient to be discharged from the emergency department rather than be admitted for observation (a potential in saving costs to the patient and the hospital). However, as computed tomography scanning and ultrasound techniques have improved, the interest in this has waned.